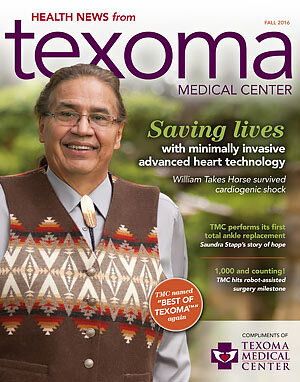 Health News from Texoma Medical Center is a publication designed to bring you the latest news as well as health and wellness information you can use throughout the year. You can read the latest issue here, or sign up to have Health News mailed directly to your home. I Am A Walking Miracle! TMC’s first total ankle replacement surgery patient is back on her feet. Neurosurgeon Michael C. Molleston, MD discusses causes of and treatments for back pain.